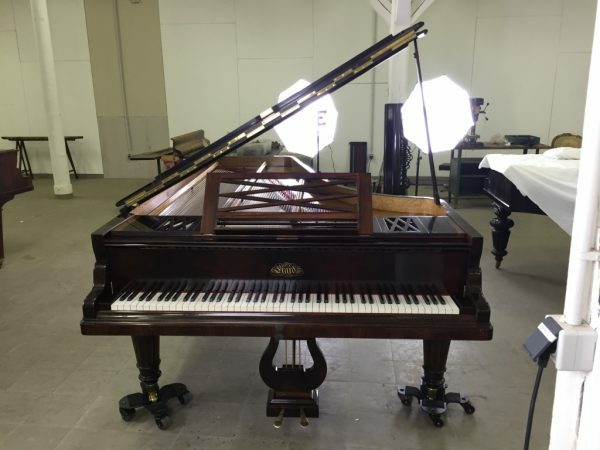 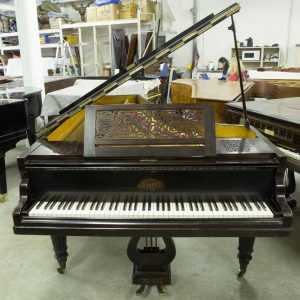 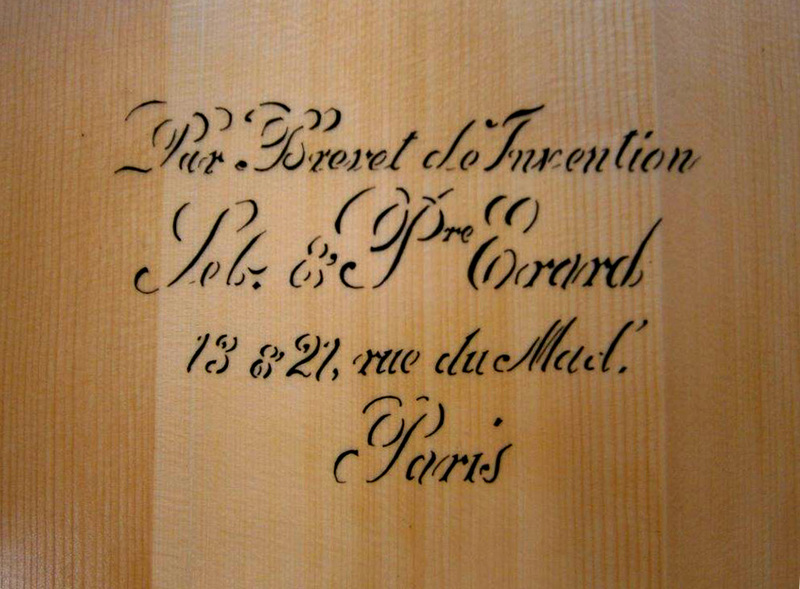 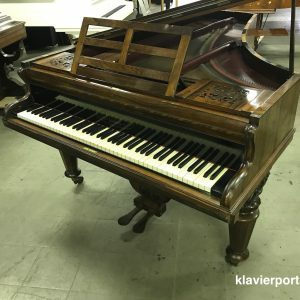 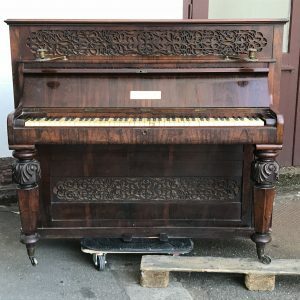 Concert Erard grand piano serial number 51206 made in the year 1877, special 90 note key model being 260 cm long in a beautiful rosewood case using bird’s eye maple with most interior parts. 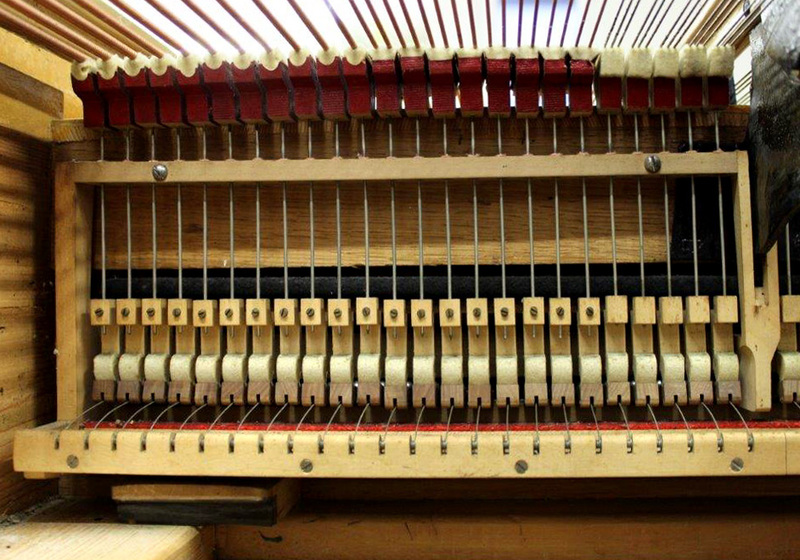 The ivory keys are only one solid piece per key. 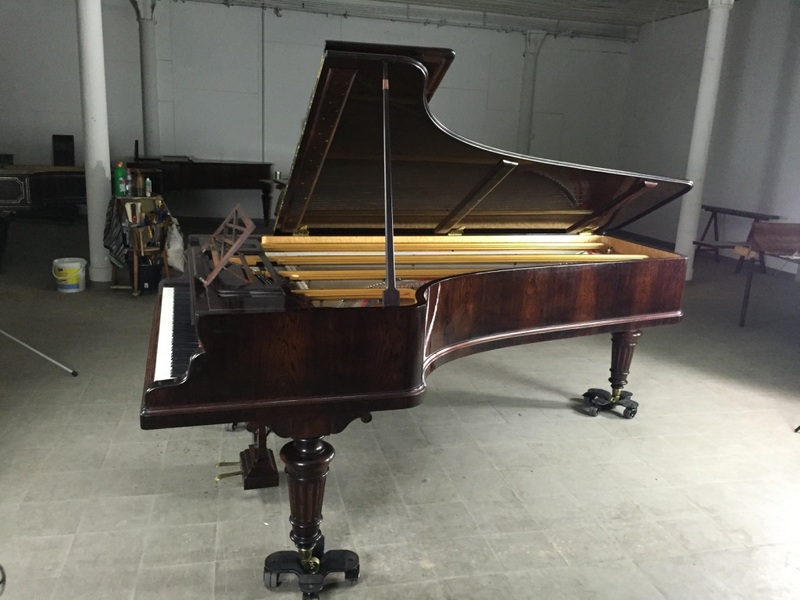 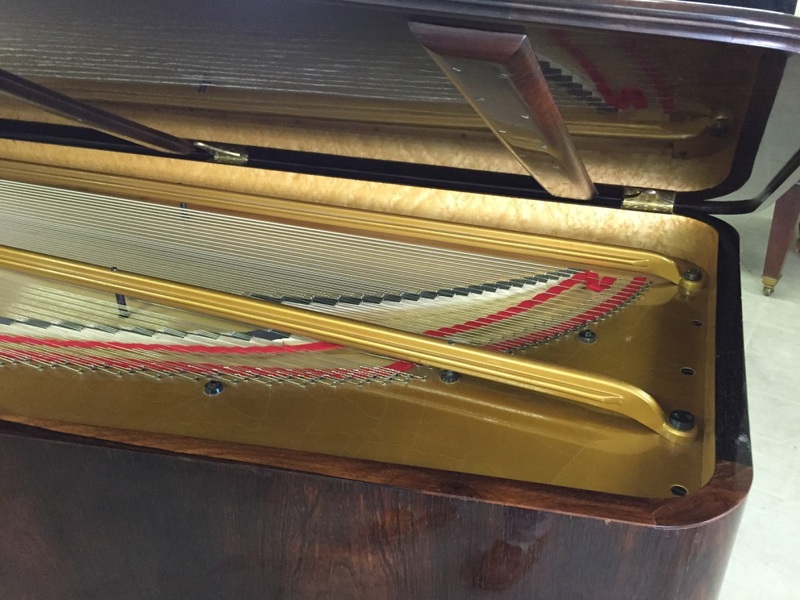 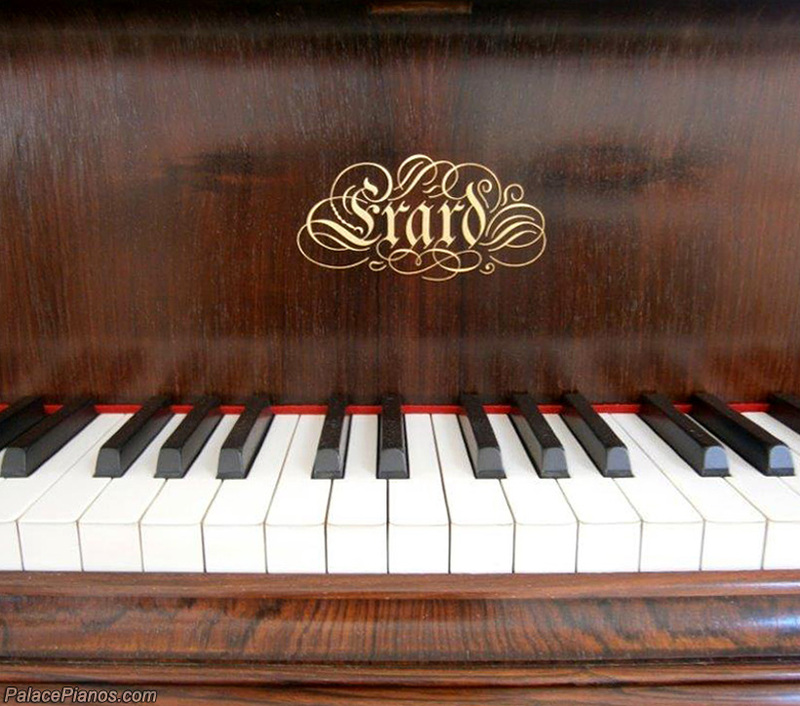 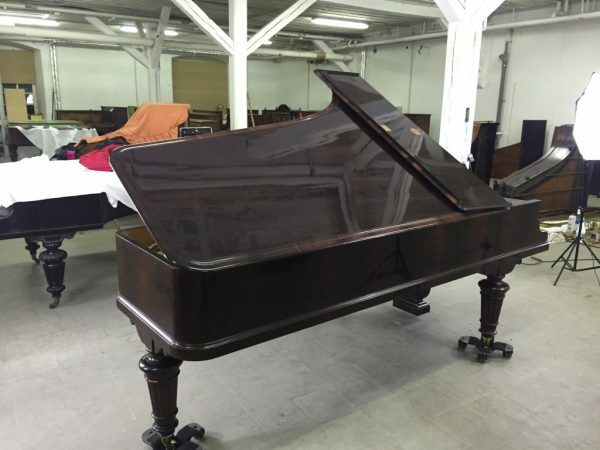 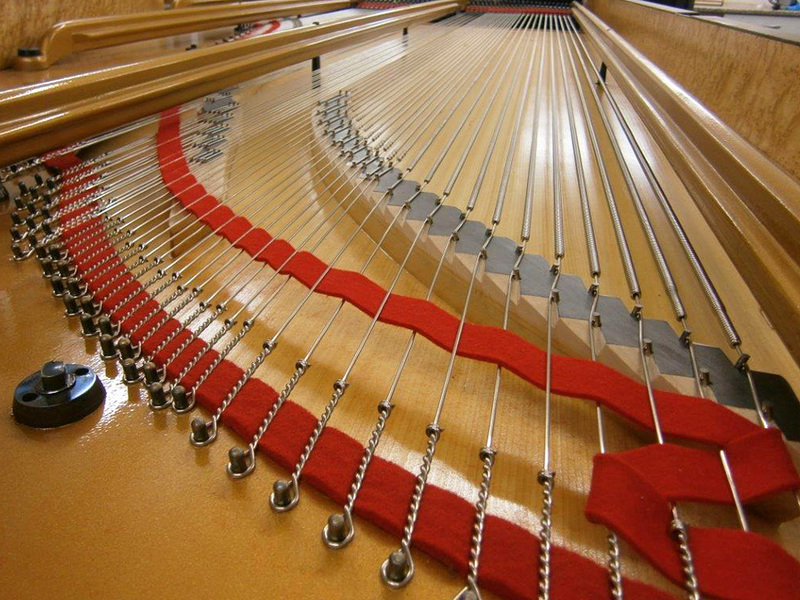 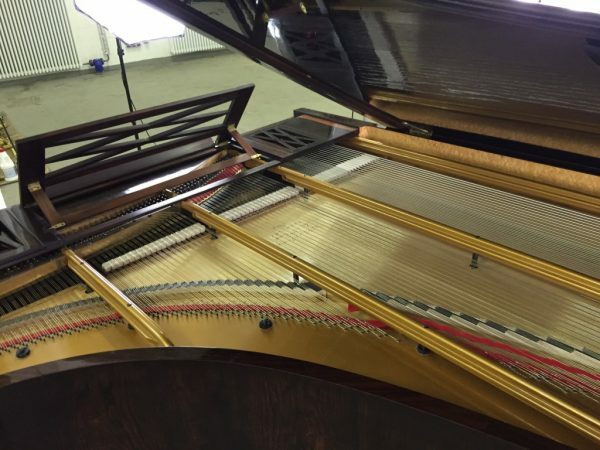 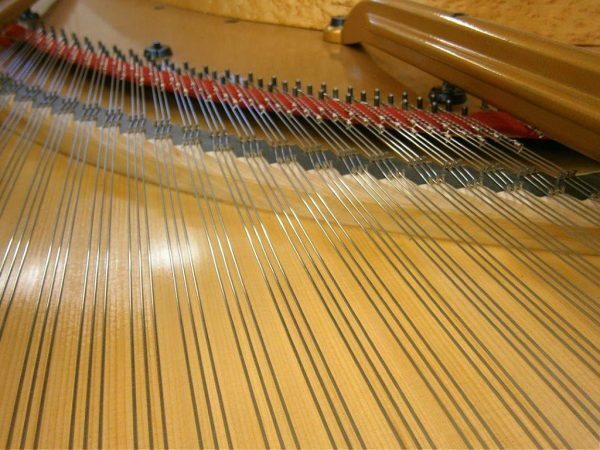 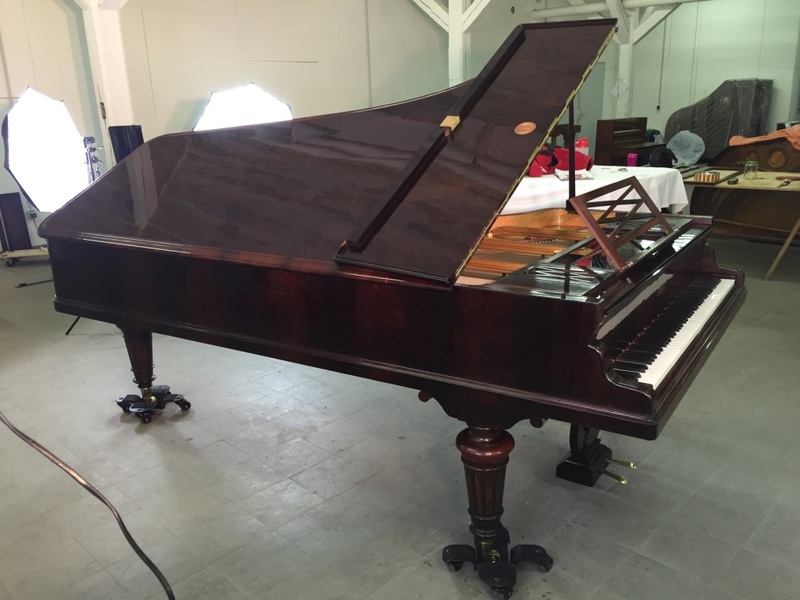 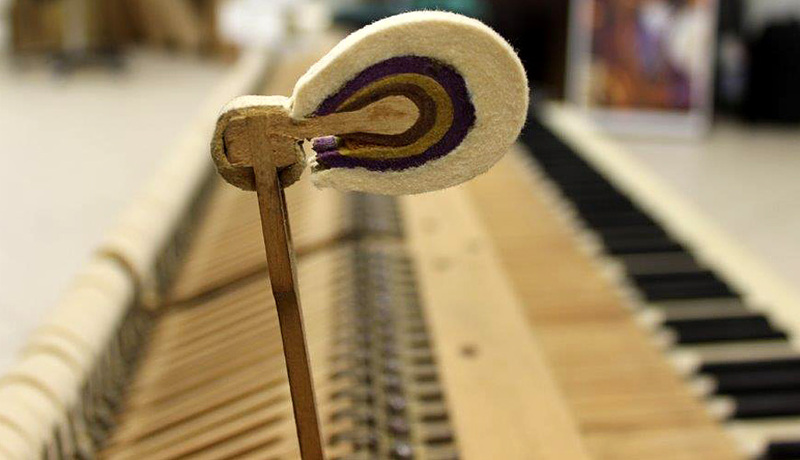 Straight strung piano fully restored by a professional piano restorer educated in French piano marks. 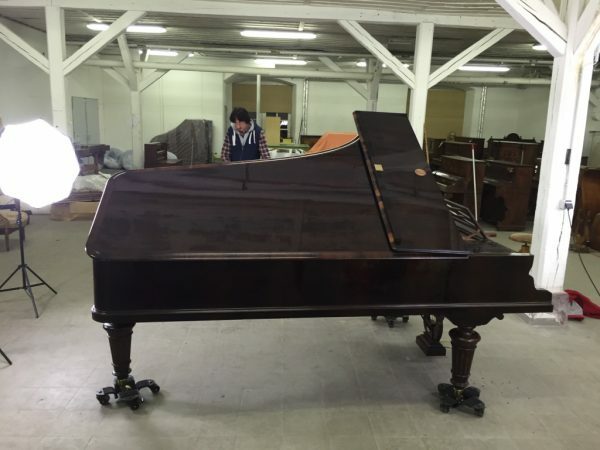 This piano was once the Concert piano of the Opera Garnier Paris about 20 years ago. 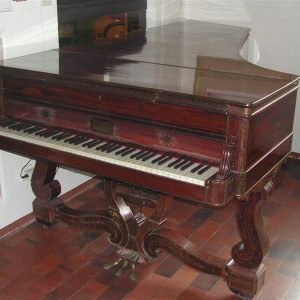 Before the Opera, the piano was owned by the first owner a Mr Charles Alfred Diligeon, a French painter in Rouen. 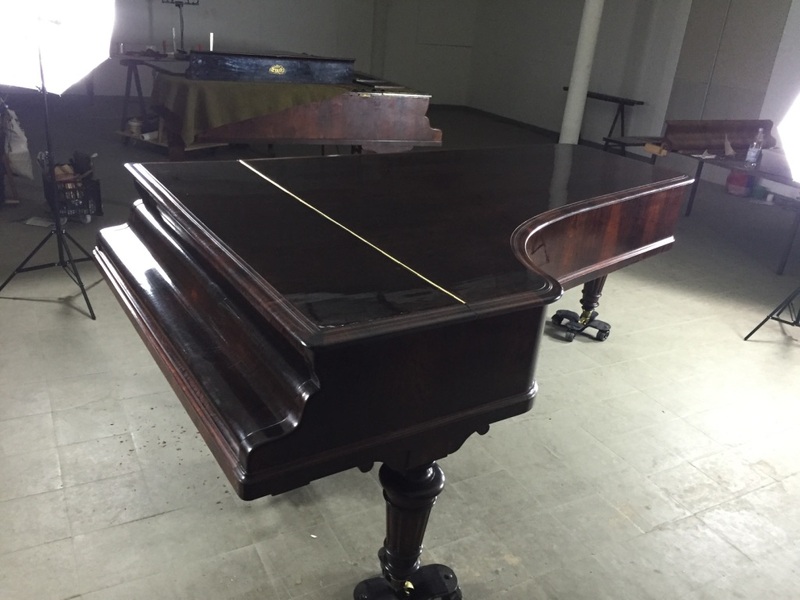 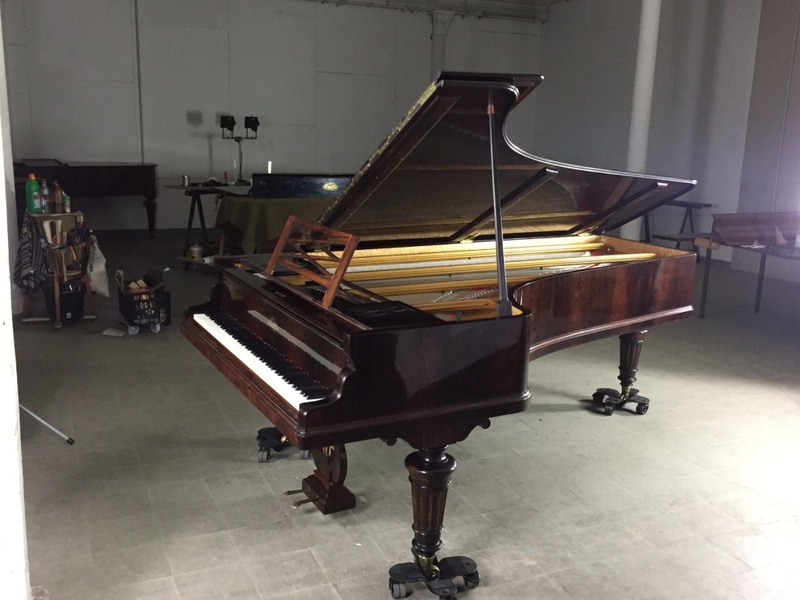 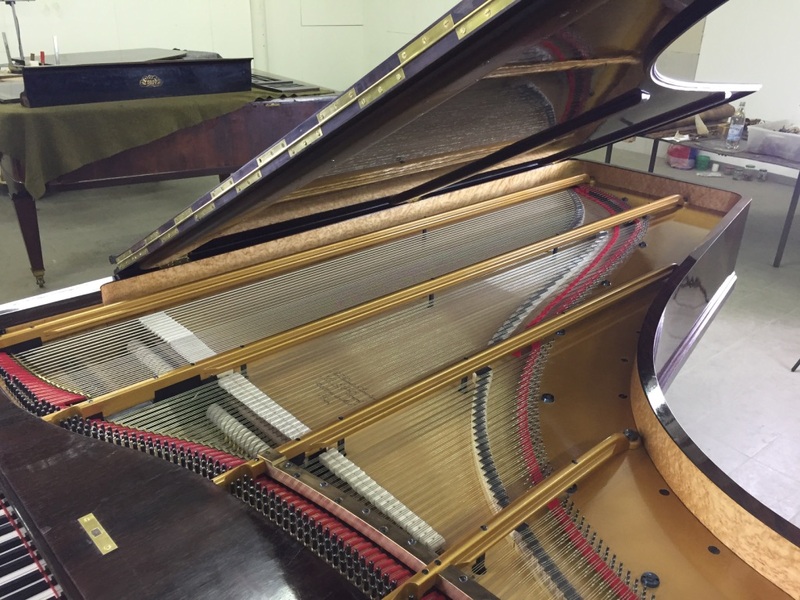 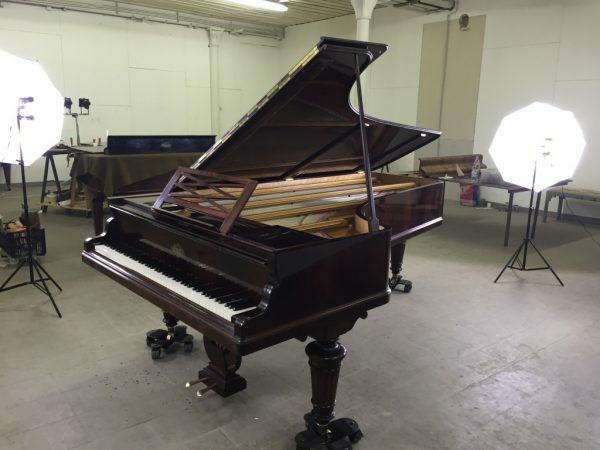 There was only 444 – 90 note concert grand pianos made, leaving this one as a rare find indeed.